The combination of growing provincial and federal government debt is creating a significant burden for current and future Ontarians. To stop adding to this burden, policymakers in Toronto and Ottawa must recognize the root of the problem—government spending—and take action to address it. It’s well known that Ontario has a large budget deficit. What is sometimes overlooked is that on top of all the provincial debt being piled up at Queen’s Park, Ontario taxpayers are also on the hook for about 40 per cent of all new debt being run up by the federal government in Ottawa. That means that Ontario’s “share” of the federal deficit this year will be approximately $7.1 billion. Toss that on top of the $14.5 billion the provincial government expects, and you get $21.6 billion in new debt, which Ontario taxpayers are responsible for this year alone. Consequently, billions of taxpayer dollars collected in this province each year pay interest on this debt, leaving less money available for important public services or to reduce the burden of taxation on Ontario households. For the most part, the root of the problem is government spending. Let’s start with what’s happened at the provincial level. 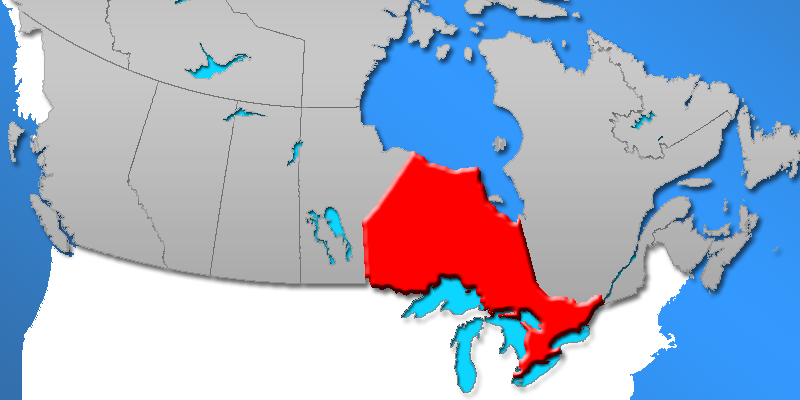 Some people believe the recession of 2008/09, and the hit provincial government revenues took at the time, largely caused Ontario’s fiscal problems. Certainly this was a dominant narrative of first Premier McGuinty and then Premier Wynne as debt grew and grew in the early part of this decade. But the evidence doesn’t support this view. Indeed, between 2003/04 and 2015/16, provincial government revenue increased at an average annual rate of 4.6 per cent—much more than needed to offset pressures from population growth and inflation. The problem is the provincial government failed to restrain spending. As a result, all the revenue growth was eaten up by more and more expenditures. In fact, if the provincial government managed to hold spending growth in line with what would have been needed to offset cost pressures from inflation and population growth, the big deficits of recent years never would have emerged. It was the failure to restrain spending—not weak revenue growth—that caused Ontario’s problems. At the federal level, spending growth is also responsible for the recent emergence of big deficits and growing government debt. In fact, a recent Fraser Institute study showed that under Prime Minister Trudeau, Canada’s federal government has had two of the three highest years of spending in Canadian history (outside a major war or recession) in inflation-adjusted per-person terms. The only year when spending was higher was in the immediate wake of the 2008/09 recession, when a large economic stimulus package was implemented. The uptick in spending over the past few years has contributed substantially to the re-emergence of big deficits in Ottawa, which of course is a burden borne largely by taxpayers in Ontario. Simply put, taxpayers must pay the interest on new debt accumulated by both their provincial government and the federal government. It’s therefore worrying when both levels of government are piling on new debt and sticking Ontarians with the bill.